Can Psychiatry scale up? Mildred, sixty-one, went to her insurance company because she thought she might need medication for her poor focus and “lousy” mood. She found a Dr. Lolli who had what she considered to be excellent credentials. Upon arriving at Dr. Lolli’s office, named ‘Lolli Psychiatry’ she was told that her appointment was with Dr. Edwards. Surprised that this information was not disclosed when she made the appointment, the office manager told her that ‘Lolli Psychiatry’ meant people who work for ‘Lolli Psychiatry’ and although this was not clear from the website, this is how the office worked. Mildred, not sure what to do, decided to see Dr. Edwards. She was content with the visit, but at the end, he told her to take Prozac, specifying a particular generic and to call him “whenever she felt like it.” There was no mandate for follow-up. Mildred thought this was a bit strange, but she took the prescription, did not fill it, and decided to forget the endeavor of pursuing medication. So, the trend, as I see it, continues. The personal part of psychiatry is dwindling away, while the interchangeable psychiatrist replaces it, for the vast majority of folks who use insurance to seek medical care. Those, like with hospitality, who are willing and wanting to pay for personalization, can get their physician to remember their name, but, for most patients, there will be a deep impersonal quality to medical care, at least medical care administered by a physician. Although I understand this trend, and I have blogged about it for years now, I still find myself quite sad and dismayed at this change. Mostly, I wonder what motivates the physician to set up such a practice. Does Dr. Lolli charge more to see ‘Dr. Lolli’? I wonder. Does Dr. Lolli, recruit young psychiatrists to be the Dr. Edwards of his practice, knowing that eventually Dr. Edwards will be a competitor? Is. Dr. Lolli going to franchise and create multiple locations? Will the name ‘Lolli Psychiatry’ have a brand meaning? Confusion sets in for me. Dr. Lolli needs to create a business, while at the same time, create a model of care which generates patient satisfaction and improved well-being. Compare that to my idea that the physician/patient dyad is unique, creating a sense of care, and love, and in that relationship, along with deep insights and understanding of human motivation, the healing journey begins. 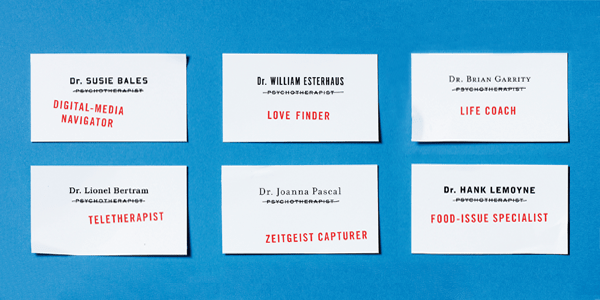 Perhaps, Dr. Lolli creates a bench of psychiatrists who can provide this personal care. More likely, though, Dr. Lolli sees his ‘bench’ as interchangeable widgets, giving patients availability, but also, anonymity. I am in the psychiatry business, but I struggle to understand the business of psychiatry. Everything else stays the same: my office location (941 Westwood Blvd #204), my office phone number (310-824-4912) and my practice style. Yet, what would have been a trivial change, just a few years ago, is now a major transition, as I have come to see that email is a vital portal for communication. As such, transitioning email, makes me hope that no messages will be “dropped.” After a few grey hairs, all portals are open and I am open for business. Some of you may wonder why is this change happening? To my devoted readers, curious about such things, I am becoming more independent from UCLA and so I need to establish an independent email address. Am I still going to teach? Yes, yes and yes. I am still active on the faculty at UCLA, in both adult and child psychiatry. I am excited to kick off this 2013-2014 academic year with teaching opportunities with psychiatric residents and child psychiatry fellows, interested in learning about listening, thinking, and taking time to understand complex mental states. Next question-what about this email address with my name in the domain? First, I am sure you devoted readers have noticed that my domain name is “vollmers” and not “vollmer”. You have likely guessed, that “vollmer” was already taken and so I became myself in the plural. This is narcissism at its best. Vollmer appears twice in my email, with the idea that I am part of the larger “vollmers”. Will I miss “UCLA” in my email address? Was this a badge of honor? This was a major question that I asked myself. I had the option of using svollmer@ucla.edu, but I declined. I am taking this transition as an opportunity to re-define myself as an independent operator, teaching at UCLA, but doing my private practice as an independent practitioner. I have been at UCLA, in various capacities, since 1979. 34 years later, I am ready for a change. I am excited. Who knew that my email address would have both such practical and emotional significance? I learned the hard way. The issue of practice visibility intrigues me because I trained in an era when marketing was a dirty word for physicians. Advertising was not allowed. Word of mouth was the key, which meant that networks developed (often on the golf course) which created referral bubbles. People referred to their friends which often meant that male physicians referred to male physicians and women, in smaller numbers at the time, responded, in kind. Then, drug companies began direct to consumer marketing, the internet appeared, and suddenly, or so it seemed, marketing was not only allowed, but expected. Of course, professionals still refer to their friends, for the good and bad of that, but now, the consumer is more sophisticated and does his own research into his providers. I am excited and pleased with this turn of events, even though, as per my previous post on crowd-sourcing, consumers can write critical comments, often unfounded, and this can tarnish a reputation. On balance, though, the internet has allowed the physician to present herself in a way in which she can beckon those who sense, from their website, blog, tweets, a possible “good fit”. This ‘good fit’ works well for both the physician and the patient. The physician sets expectations before the first contact. The patient has a greater sense of whose office they are walking into. So, yes, Jon, more visibility seems good to me. The more people understand where I am coming from, both in terms of my education and my attitude towards mental health, the better the chances that the person who reaches out to me will benefit from my services. Thanks, Jon, for stimulating this post. To continue the theme of marketing my practice, I know imagine a name change to “Westwood Wellness Center”. I like the alliteration, but beyond that, the word center, seems so grandiose. The word “wellness” is also troubling. On the one hand, I do promote wellness, and I do appreciate the shift away from psychopathology towards improving the quality of life. A person does not have to be “sick” to seek wellness. I appreciate that concept and have felt, since medical school, that helping patients improve the quality of their life, is an essential part of medical education. Most people are not ‘sick” but they suffer in their inability to enjoy life in the deepest possible way. In the DSM II days, they called this neurosis. In light of the ways in which we all mess up our own lives, promoting wellness is a way to promote living with less neurotic tendencies. The cheap guy who bemoans the fact that he cannot buy things for himself could come to learn to understand his withholding nature which leads to a perpetual sense of deprivation-self-induced! . This fictional “cheap guy” does not have a DSM 5 illness, but he does suffer from chronic feelings of coldness and rigidity. Would this fictional ‘cheap guy” be drawn to a “wellness center” or a “psychiatric practice” or does it not matter since the “cheap guy” is not going to pay to help himself? On the other hand, a “wellness center” implies a fad-like approach to the latest ill. The trendiness of the name concerns me, as it promotes a superficial sounding approach to some very deep-seated issues. On balance, given the pros and cons, I do like the word, wellness. Perhaps I can change my practice from ‘Shirah Vollmer MD’ to ‘Westwood Wellness,” leaving out the word “center” and creating a staff of one, me. I could be “Westwood Wellness” and have this be the evidence of my practice’s mid-life crisis. I transition from the old-fashioned solo psychiatric practitioner to the more modern psychiatrist who wants people to deeply care about their minds and their bodies. The method does not change, but the packaging does. I am liking it. Should I re-name my practice? There is Beverly Hills Psychiatry which is a one-man shop. Old School, Dr. Vollmer over here, started practice when the standard was to use your name as the name of the practice, particularly since almost all psychiatrists were solo practitioners. Now, it seems there is a movement to have “wellness centers” or “behavioral health” centers where the name represents what or where people are seeking and not the particular person doing the work. Once again, I feel stunned by this, perhaps subtle, change. Google might have something to do with this new “branding”. Someone seeking psychiatric care on the internet would not know my name, but they would know the location they want to see someone and they know the issue that they want to explore further. As such, to optimize a google search, one could name the practice to get more electronic traffic. This, I understand. My concern, however, is that the naming of a practice means that the person, the professional, is less important than the location or the skill set. If I change my practice name from ‘Shirah Vollmer MD’ to “Westwood Psychiatry” I would worry that I am creating a distance between myself and my patients which is larger than I want. 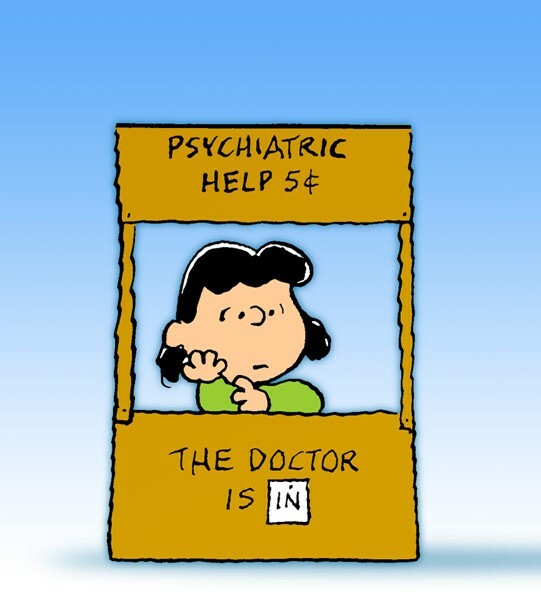 On the other hand, maybe if I become “Westwood Psychiatry” I would have an ego boost, of sorts. Maybe the name gives my work a certain grandiosity. Oh, so much to think about. Change is tough. Westwood Village, where I practice, is in a slump, making parking easy, and my patients, happy, I think. Today’s LA Times notes that the powers that be want to bring traffic back to Westwood. I return to parking. Having practiced in the same office for 23 years, I have seen the ups and downs of parking problems. When I began, the first ten minutes of almost every session seemed to focus on how hard it was to park. Now, those ten minutes, are spent on traffic nightmares encountered while getting to my office. Now, with the ghost town of the village, parking is easy, and relatively inexpensive. I love the location, close to UCLA, central in WLA and now, close to Target and Trader Joe’s. With the hope of returning the Village to its popularity, comes my concern that access to my office will cause frustration and irritation. Luckily, for me, at least, every attempt to bring “back” Westwood has failed. The 1998 shooting, changed Westwood boom into a bust. The competition from Santa Monica and West Hollywood has pulled away the throngs of folks coming to Westwood for a good time, allowing me to enjoy the relative quiet and peace of being close to a University without the chaos of parking or waiting to sit at a restaurant. Adapt or die, as I often say in these posts, yet that does not mean I have to welcome the tides turning, yet again. “You should tweet,” a colleague tells me. “Why?” I ask. “People wonder what you think,” she says. Do I want to be an internet personality? I ask myself. What is the difference between my blog and tweeting? Yes, I know that tweeting is “microblogging” and so they are different beasts, but do I have something to say in a limited number of characters? I suppose I could try tweeting and see what happens. I did not think I would post four days a week, but as it turns out. I do. I often do not know what I want to say until I sit down and say it. Before I started blogging, I could not imagine the pleasure in having a forum in which I could express ideas which have buzzed around in my head for over two decades. Indeed, there is often a sense of relief after I post. I have written something that I have wanted to express for so many years, but I had no audience. Now, the thought of my audience inspires me to discharge thoughts, agonies and concerns regarding the state of psychiatry, medicine, and psychoanalysis. So, how does tweeting add-on to this mission? I could comment on mental health tragedies that hit the news. I would enjoy that. My mind thinks in tweets, so I like the limitation in characters. On the other hand, would this blog suffer if I added tweeting to my working life? Maybe. I am surprised how much energy goes into posting, such that tweeting would also be consuming, despite the brief nature of the result. As we all know, it sometimes takes longer to be brief. Then, there is the issue of my narcissism. How will I feel if I have few followers? Do I want to subject myself to unpopularity? I think I can handle that. This blog has taught me that there is pleasure in writing, even if only one person reads it. As a person who came of age before the internet, few followers still amaze me, so my bar is low. Have I reached a conclusion? Nope. It is summer and so I will give myself time to contemplate. Well, for those of you curious about my technological updates, here goes. 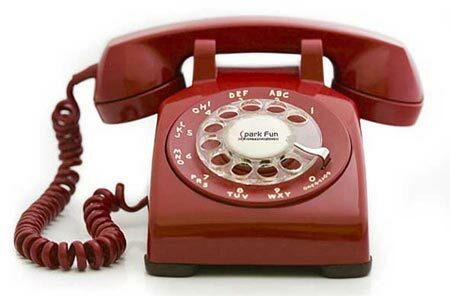 My land line is going away, but my phone number (310-824-4912) remains. I will still be able to answer the phone, which is a part of my day which always surprises my callers. I am glad I can keep that. My leap forward is that now I will get messages in digital format, allowing me to have a written record of my calls, which I imagine will increase my efficiency, and yet, will not be a significant cost-saving. I also get more room on my desk, which I think means room for one more pile. What about the user interface, you ask? Well, that is interesting. Call me and you can hear the experience. You will hear my name, then hear music, and then hear my voice-mail The music is new, and for those who feel like waiting an additional minute to get to my voice-mail is annoying, then there could be irritation. On the other hand, just ask me for my cell, or email me, and I will respond, so no need to fret about that minute. I am hopeful this is a win/win for all. Although I am known as responsive, I think this technological renovation will increase my turnaround time. My office, like our new world almost mandates, will be in my pocket. What’s next, you ask? E-calendaring and E-prescribing-now those steps are large! Stay tuned. You missed me yesterday? I apologize for not doing my Monday posting. 11:00 am, in the midst of a session, the lights went out, the computer made an “annoying beep” my patient told me, with good humor. I said “I would turn off the beep, but I don’t know what is going on, so it is hard for me to turn it off.” The annoying beeps continued, to which I said “I think this is the computer telling us that it has a few more breaths left before it collapses entirely.” So it did. My phone worked, thank goodness, but email went away, and so my communication with so many of my clients instantly disappeared. I did my due diligence. I called the office management. I called the city. Daylight made it such that I could see in my office (thanks for my window), but my waiting room was pitch dark. It was a late night for me, so I thought that this could be really challenging as the sun goes down. At the same time, I wanted to believe, that in this major metropolitan area, my electricity would be up and running quickly, given that I work in a business area and the city of Los Angeles, would not want to lose business. Of course, as so many of you readers predicted, I could not have been more wrong. The daytime turned into evening, and so patient care was by lantern. Email would have to wait. This blog, sadly, was the last priority. With a few minutes in between clients, I could run to Kinko’s, across the street, to do a quick email scan for emergent situations, but then run back to my dark, and somewhat frightening office. The keypad to get into my building was also not working. The stairway to my office was dark, scary and dangerous. Another call to my landlord, only to find out it is the problem with the city of Los Angeles. A call to the city, proved little help. They said they were unaware of the problem. I knew my landlord was telling the truth, so I was left to believe the city was not on the ball. Meanwhile, my clients took it in good stride. I took the darkness to discuss Sigmund Freud. He wanted his patients not to see him (and lie on the couch) so that they could get in touch with their own minds, without the distraction of the therapist’s facial expressions. Perhaps our dark sessions were an opportunity to see if new things could be brought to light in the midst of this darkness. And what about those folks who rely on my email communication? Would they call me if they really needed an answer promptly? I am not sure. Would they feel frustrated that I am not responding to an important matter? Maybe. Should I quickly put on my email an outgoing message which instructs the patient to text or call me? Maybe, but I wanted to believe the problem would be fixed quickly. Should I get a smart phone so that I have backup email? Maybe. The sun set. The sun rose. Power was restored. Emails were attended to. The world was right again. Oh, did I mention that amazon sent me the wrong toner for my printer? That’s another story. Lori Gottlieb, the author of this NYTimes article talks about her experience transitioning from a journalist to a psychotherapist. She explains that “empty hours” are best met with marketing one’s practice to a specific need, as opposed to remaining generally interested in the internal psychic world. Have we arrived to a world where therapists need publicists? I wonder. Do we need to search for niche markets? I also wonder. This is a stimulating article which poses the question of supply and demand. Is there a demand for insight-oriented psychotherapy, or is the demand for a relatively quick-fix to a very specific problem? Does marketing one’s practice create a harvest from which to pick out more long-term patients? Does the publicity serve to overcome the inhibitions of psychotherapy, such that once the patient gets comfortable, a deeper experience can be had? In other words, does the promise of seeing a “specialist” give the patient permission to unleash one’s fantasy world? As usual, I have no answers, but only ideas and possibilities. As Ms. Gottlieb states, as our antidepressants go generic, there is much less direct to consumer advertising for medication, which may mean that there are less patients seeking mental health assistance. This, combined, with a variety of both licensed and unlicensed professionals seeking to help people guide their way through the messiness of adult life. The patient, suffering from ill-defined issues, is at a loss as to where to turn. The media, friends, relatives, and their primary care physicians, serve as referrals. The patient in pain trusts their referral source and then they land in an office, of which they do not know what will happen next. They could end up on medication, engage in long-term psychotherapy, engage in short-term behavioral techniques, or a combination of the above. There is no good algorithm. I am glad Lori Gottlieb brought this issue to her readers. I am left stimulated and confused.